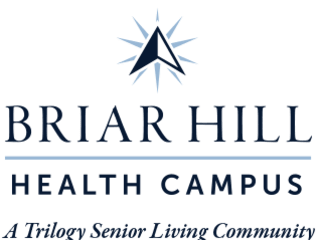 Moving from your home to Briar Hill Health Campus doesn’t mean losing your connection with North Baltimore. Like the trees that line so many of our streets, we’ve put down roots. We know the people here. They come to our barbecues, our car shows, and our holiday dinners. We also know the best places to eat, to explore, and to relax on sunny afternoons. We’re willing to bet that it won’t take long for you to recognize someone in our community, and if you don’t, it won’t take long for your new acquaintances to feel like old friends. Whether you’re pursuing a favorite pastime, savoring a home-cooked meal, or just visiting in our courtyard, you’ll be surrounded by people who care. That’s the thing about Briar Hill Health Campus – like North Baltimore, it’s easy to feel right at home. We built Briar Hill Health Campus on a foundation of family values: compassion, honesty, respect, and above all, service to others. For over 20 years, we’ve been connecting with people across the Midwest who share these values. Many of them have become Trilogy employees, and many more have become valued residents. We take pride in treating all of them like family. When you choose a Trilogy Senior Living Community, you can count on us to serve you according to our values, and to uphold those values with standards you can depend on. That’s The Trilogy Difference. You’ll feel it the moment you walk through our doors, and you’ll see it everywhere you look. It’s what makes every Trilogy Senior Living community a choice you can be proud of. Schedule your tour today, and experience the Trilogy Difference for yourself.